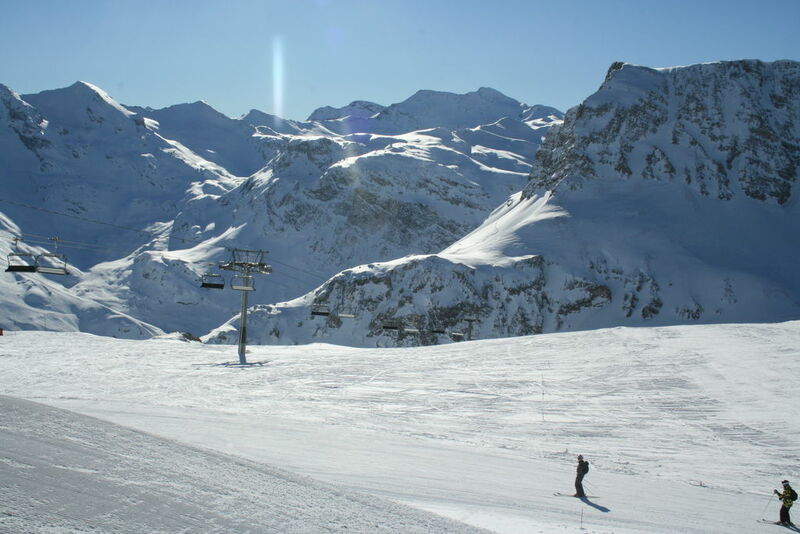 The panoramic view from Bellevarde rock, accessible by cable-car from Val d'Isère is stunning. A viewing table at an altitude of 2,826m/9,272ft sweeps the horizon over Val-d'Isère dominated by Grande Sassière, Tsanteleina, the glaciers and sources of the River Isère. Further north are Lake Chevril and Mont-Blanc. Other summits of the Vanoise range also visible in this magnificent panorama include the Grande Casse and Grande Motte.